Dominican Flag bracelet Handmade color: Blue, Black, red-white, pink Handmade Bracelet Dominican Republic. Shipped with USPS First Class Package. 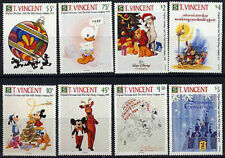 Dominica, Sc #1271-78, MNH, 1990, Disney, Christmas. St Vincent, Sc #602a-b, MNH, 1980, Kingstown Carnival. St Vincent, Sc #472-74, MNH, 1976, Cpl, Fish, Marine life. 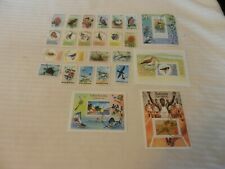 Grenada Grenadines, Sc #1309-16, MNH, 1991, Disney, Cpl. set. Grenada Grenadines, Sc #0998-1005, MNH, 1988, Disney, Cpl. set. Exactly as per scan _______________________________________. BARBADOS - SCOTT's # 493, 583, 879, 882, 904, 955, 974 AND 979 - USED - NO TEARS, CUTS, THINS OR SEPARATIONS. BARBADOS - SCOTT's # 270 thru 272, 274, 276, 335 thru 337, 407, 505 and 979 - NO TEARS, CUTS OR SEPARATIONS. Unmounted mint stamp(s) in very good condition, as per scan. 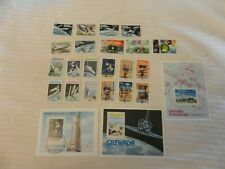 Unmounted mint stamp(s) (MNH) in very good condition, as per scan. Subject: Flowers. Year: 2002. Date of Issue: 30.05.2002. We will do our best to solve your problem. GV1, 1938-52 7 values to 10d. 1946 10d yellow-orange sg 154c heavily hinged mint. 1941 2d scarlet 152b hinged mint. 1943 2.1/2d violet sg 153a hinged mint. 1952 1/2d brown purple sg 149e hinged mint. 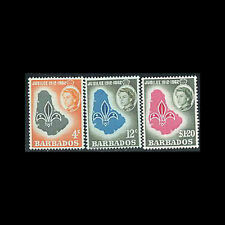 Barbados, Sc #0372-75, MNH, 1972, Scouts, Jamboree, Flags, Troop. Barbados, Sc #348-52, USED, 1970, Flowers.